You wish you had a bed head half as good as mine! Since you got me up, my raspberrini must be ready! One-thousandth as good, and I would be really, really, really happy. Would you little a little mint with the Raspberrini? You know we have just started offering our seasonal Pumpkinritas, too? 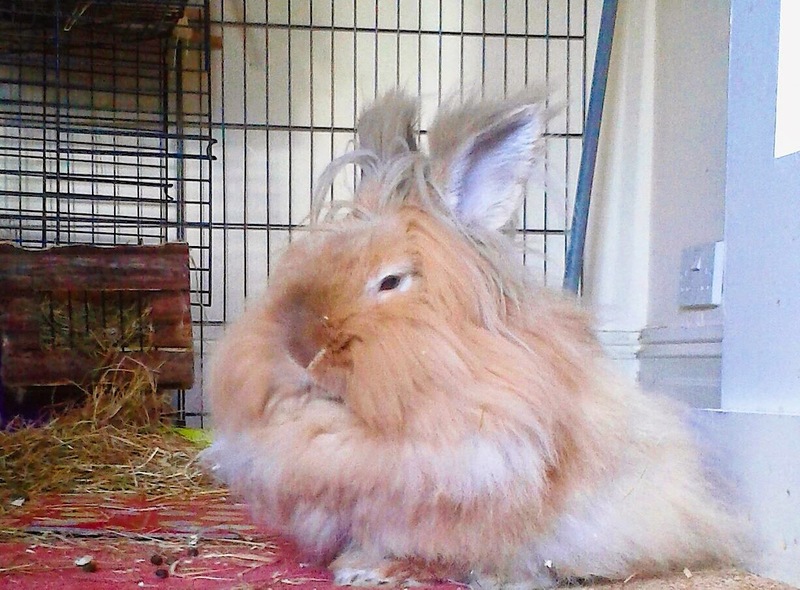 This bun must spend so much time grooming her beauteous furs. Make sure you keep up her strength with a steady supply of savory snacks! Oh my - splendid! Good work, somebody! By the way, speaking of pumpkin, Thomas Bagels has a Pumpkin-Spice one on the shelves right now. Bunns and hoomins here like it! Oooooh, RG, far out. Who says social media isn't great? That's what the shelter Bunns dictated, and they also want to know about P's conditioner - something natural and henna based?